Still plugging away at my two tournament lists for the Trolls. For my heavy armor list I have a few "Minion" solos (both for looks and because of what they do for the army overall). The first Minion is an elf named Lanyssa. She adds a bunch of utility to the list plus I thought the model looked really cool. The last benefit to her is I can use her in either my Ret list (they are incredibly limited as to which Mercs/Minions they have access too) or my Trolls. Because of that I decided I would just paint her in my Retribution of Scyrah's colours but did the basing of the Trolls so she fits in either army. Very striking. My suggestion though for doing lined highlighting would be to use colours closer to the shade or washes closer to the highlight to avoid such a strong contrast between the shadows and the highlights. Thanks for the comments! As for the line high lighting its actually intentionally as contrasting as it is. 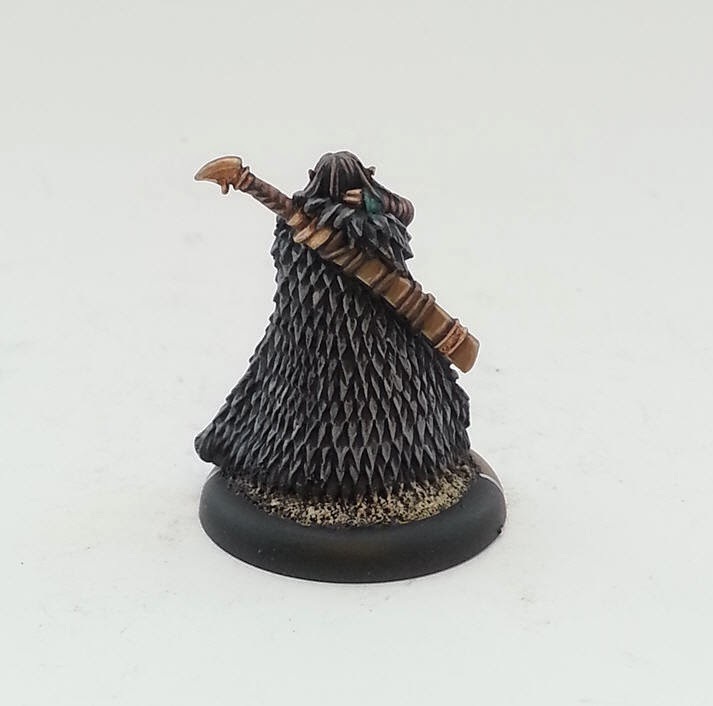 I dont get much time to paint these days so my two Warmachine projects are basically "speed painting" projects designed for super high contrast to help off set the speed at which they are painted. 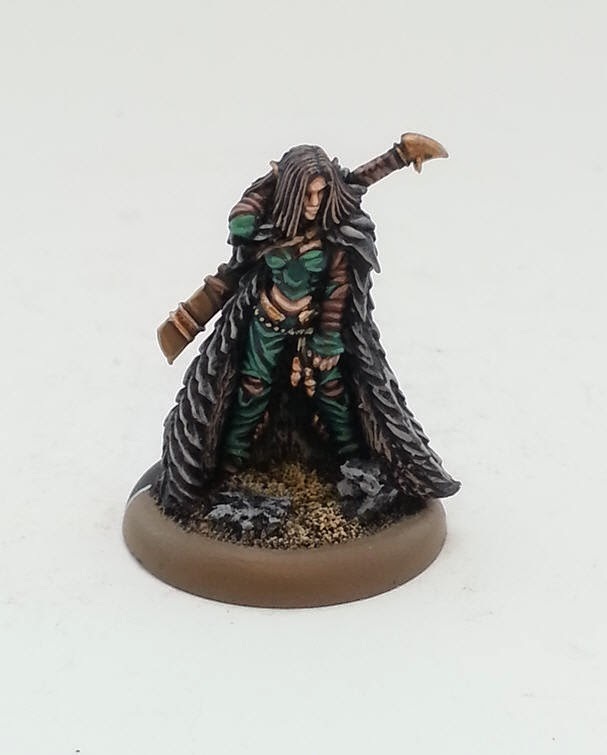 Like Lanyssa for example only took about an hour total to paint from start to finish. Once I start posting some of the character models (like Bearka further down) I will definitely get back to what you suggest. Thanks again!